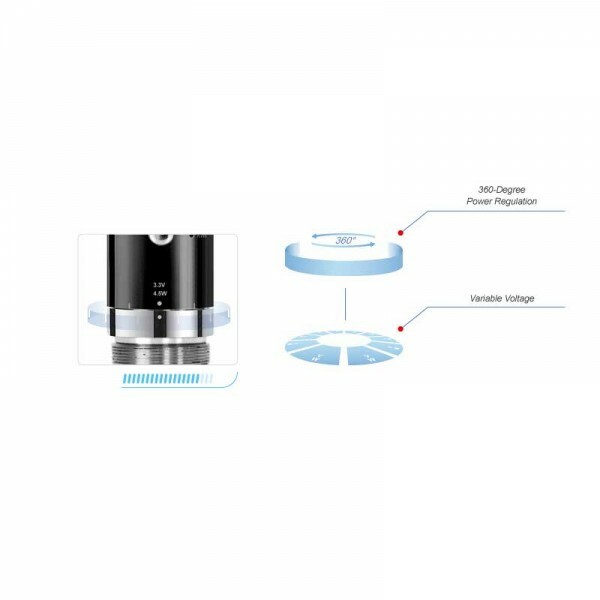 eMode is named after its feature of multi-mode in function and simple mode in appearance. 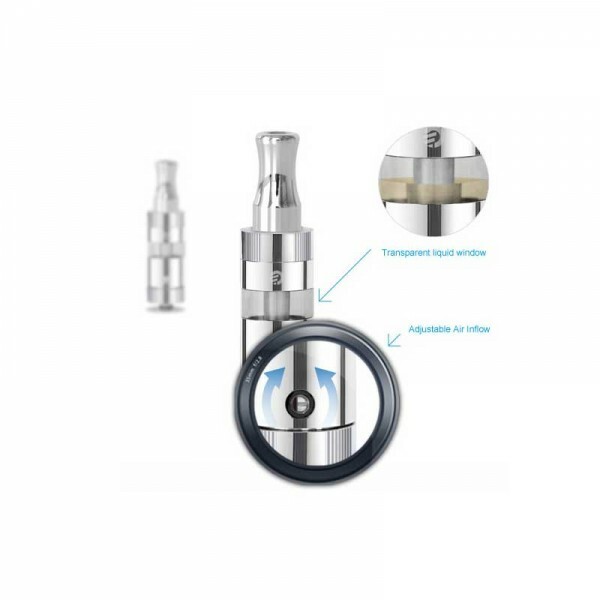 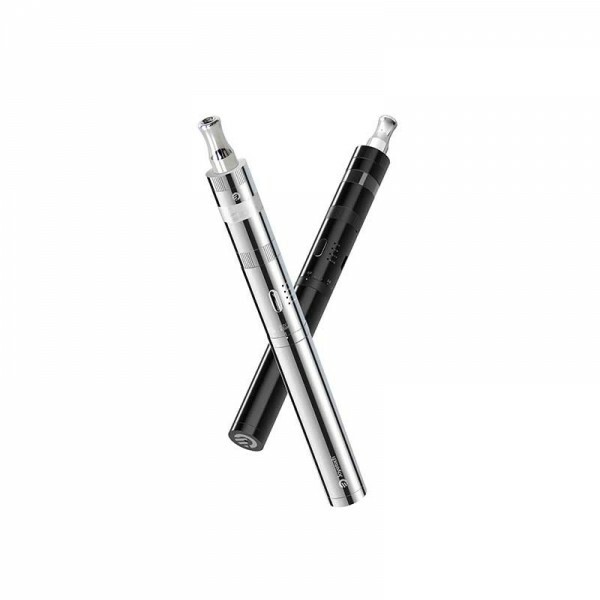 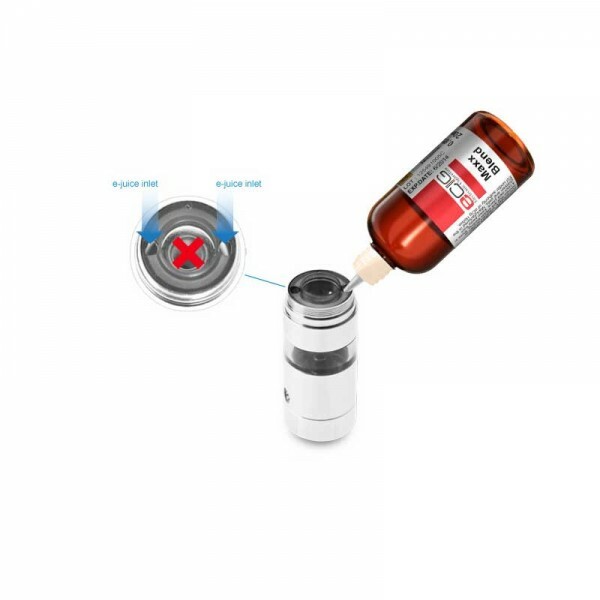 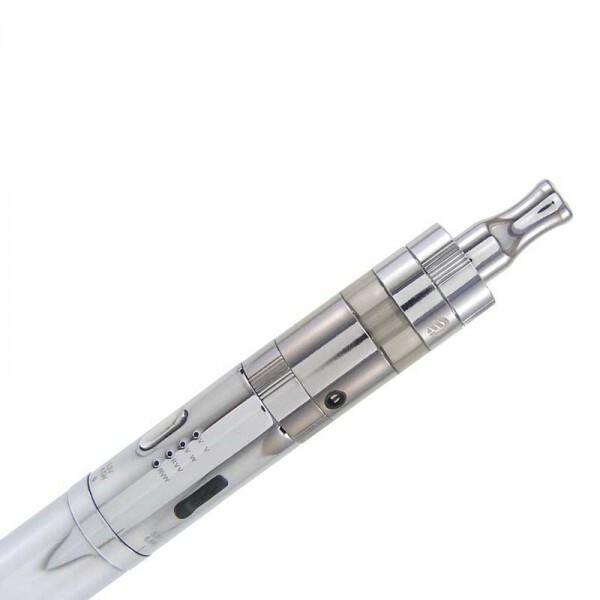 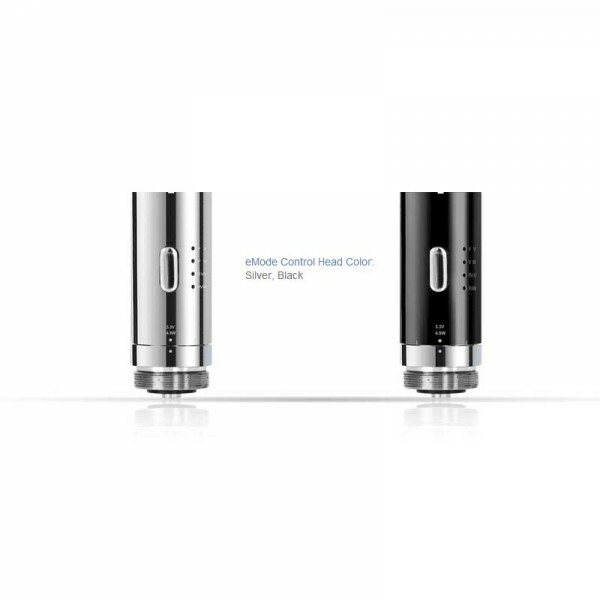 It boasts a newly designed atomizer head, which is the second generation of Joyetech atomizer head. 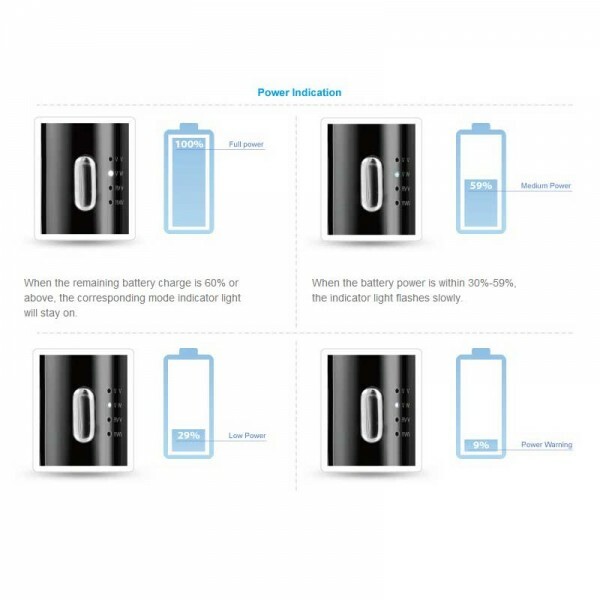 The 360-degree regulation makes it possible for users to adjust the voltage and wattage output. 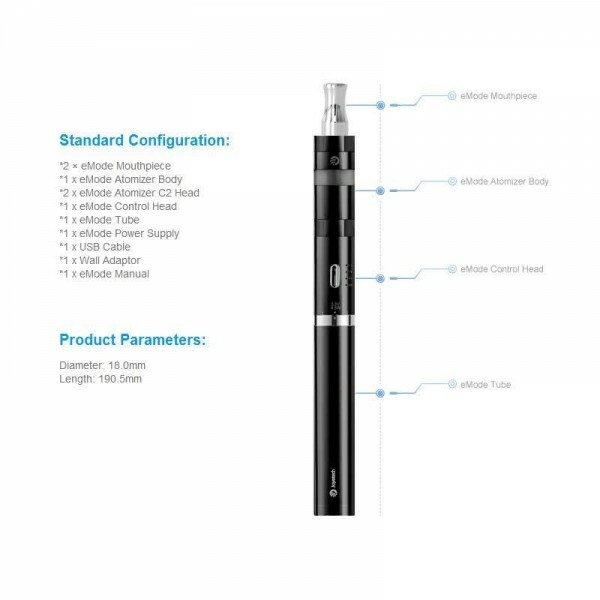 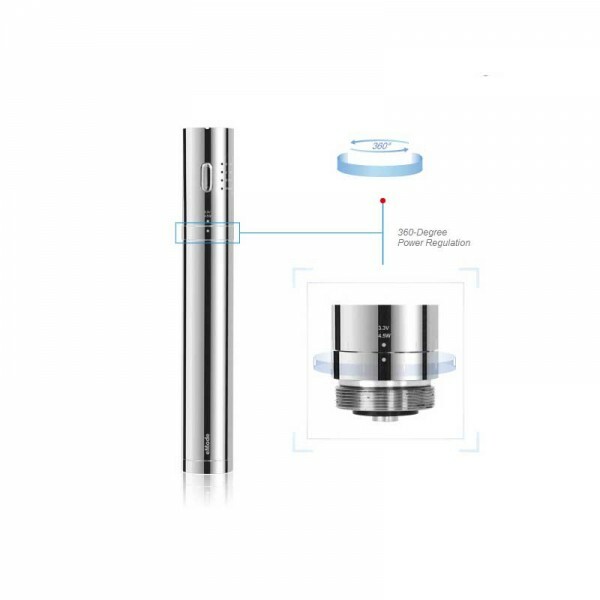 eMode also offers a variable output which changes as you puff. 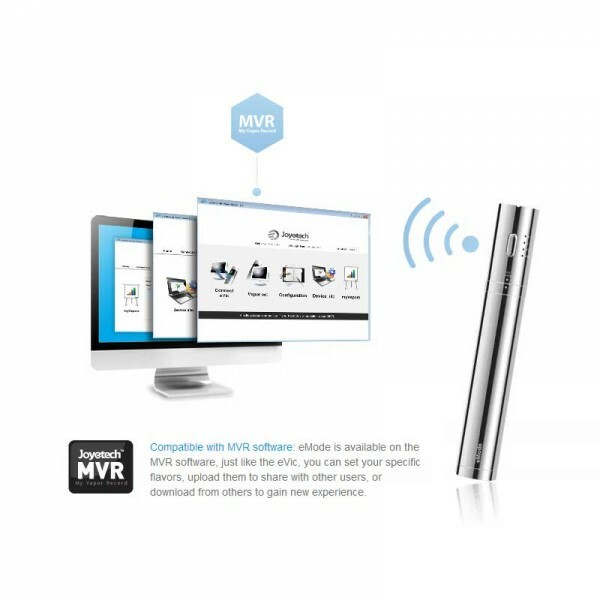 In addition, eMode allows you to access information about your vaping habits by connecting with MVR software.